President Donald Trump surprised White House guests Tuesday during their tour of the White House. The kids screamed with delight when Trump surprised them. 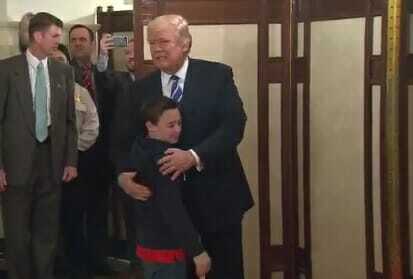 One little boy went up and hugged President Trump. The children were thrilled to see President Trump!